What role will the 21th century city lights play in our contemporary cities? What kind of lighting strategies can be adopted to better illuminate the nocturnal cities? Is it everything based on technological innovation or projects should be focused on social expectation and perception of the space in order to assure protection, safety, a better quality of life according to the sustainability demands of a less energy consuming lighting design? There are some practitioners and academics that are starting to think that we need more dark to appreciate the light and that a good project should start from social exploration and real people observation rather than the mere application of technological innovations. We are emerging from an era when urban street lighting was subsumed by the converging values of the automobile and crime prevention. Prior to the mid-20th street lighting served the dual purpose of urbanity and social control. The installation of the poles of high-intensity lights took on the character of a moral crusade against evil, one that would banish darkness, “an ally to crime”. They were designed and applied as efficient facilitator of automobile traffic, becoming after a while the ubiquitous symbol of the modern metropolis. These uniform lighting schemes fit neatly into the dominant urban planning principles of the period. Small-scale pedestrian lighting was relegated to an ancillary role. On the other hand, if we look at the historical strategies of lighting the cities, we discover that the lighting bulb that has tried to solve the human fear of darkness at night, is a very young invention and intervention in public places. The history of nocturnal city lighting tell us another story made of simple different strategies to avoid the enemies hidden by the dark nights or the missteps on the roadway during the nighttime travel. Many of the world’s most ancient roads were cut to follow the Milky Way, providing a guiding light for travelers.Travellers used firstly the torches as portable light is followed in the Medieval era by lanterns. Hollowed-out turnips were filled with oil and lit, resulting in a softly glowing lantern, made possible by the translucent walls of the starchy root vegetable. As people became more curious and brave, they desired to travel to unfamiliar lands past the town where they were born. City officials often posted public bulletins that informed citizens of the phases of the moon, an important factor when planning a trip. Every country tried to lighting the nights with several solution: in Southeast Asia, the late night travelers used the light produces by fireflies that congregate in the bends of the waterway. In ancient Britain, piles of chalk dotted the edges of the roads, reflecting the moonlight to produce a soft white glow. In the Mediterranean, rock cliffs were also dusted with chalk, a pre-lighthouse warning system for boats. 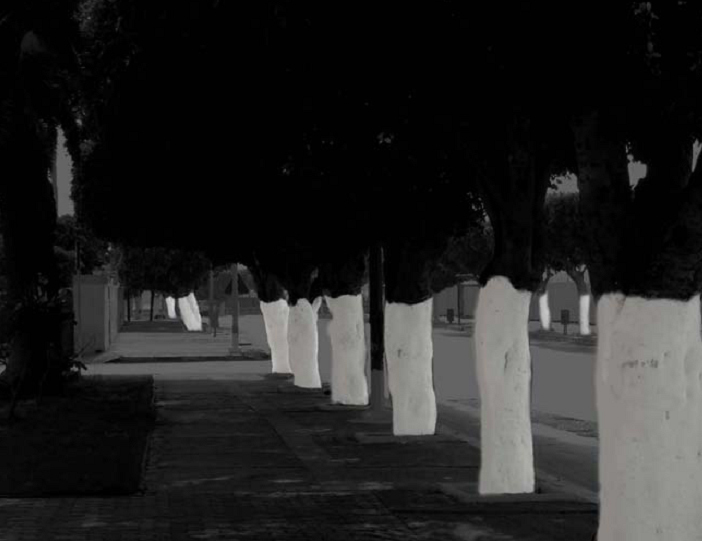 Such a surface treatment is still found in Greece today, in addition to tree trunks painted a reflective white, another trick from the days of yore. So the main thesis reported by Linnaea Tillet is that the night in the public realm is a social and a psychological space: it has its terrors, its mysteries, its enchantments, but in the last century we have dropped a curtain of light over the city altering the night and ourselves. In her view, to lit a space it is not necessary to increase the levels of lumens of lamp poles but we should amplify what exists carrying our own light. The lighting strategies of historical travelers should be reviewed and re-integrated in the lighting design practice starting from the assumption of Junichiro Tanizaki in his “In the praise of shadow” that we should starting to turn off and soften the light. 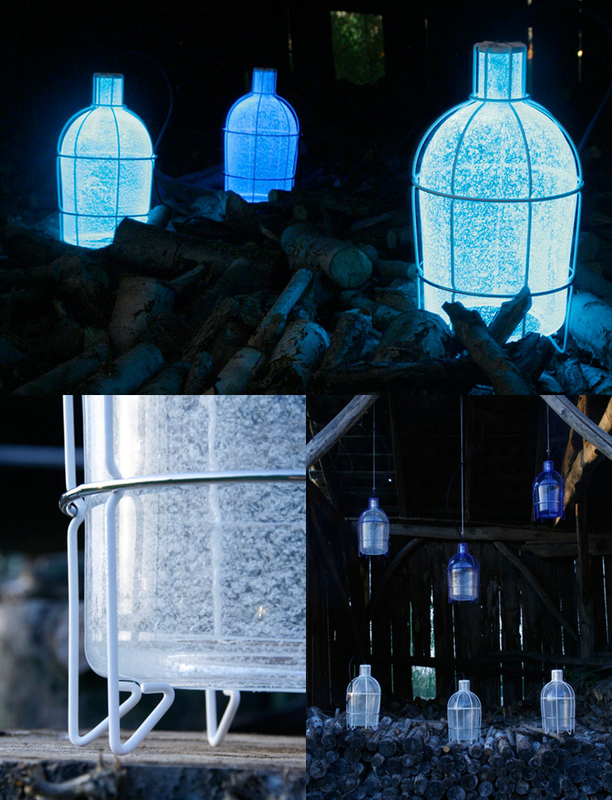 Tillett and Gans suggested a series of lighting strategies starting from chalk, for instance, that could be used again as a reflective material, a perfect addition to vacant lots that need illumination. Much like the tree trunks in Greece, the underside of bridges and elevated train tracks can be painted white, a psychological shift that transforms a threatening piece of infrastructure into a warm threshold. Such idea might seem out of the ordinary but is much like our early experiences with turnips and chalks and is starting to be artistically and designedly applied in some cases. An example is the chalk art by Michael Neff that uses this temporary medium to capture a temporary state, the shadows that fall in the evening and at night. All the pieces he has ever done are shot at night and represent an instantaneous of the night shadows even though the night in New York City is actually very bright. It is something like doing graffiti and street art but it doesn’t deface people’s homes generating a special experience during the night in the cityscape creating also a new relationship with lighting. Tillet and Gans also propose we embrace our newfound bravery and establish social spaces within the nighttime urban landscape. Observing the social interaction in the nocturnal city, we can design reflective, seasonal art installations enlighting dark alleys, while photovoltaic thread can be woven into fences, emanating light to indicate an area for unexpected social interaction. In their views, at the most playful end of the spectrum, performers dressed in light-emitting costumes become “animated beacons,” further quelling the fear of darkness in the crowds that gather to watch. From the lighting design point of view, Tillet says that it’s not about less but it’s about making more with what we already have. ”I’m not about turning things off. It’s unpacking how things work now and making gestures where it really counts. If we turn off every third streetlight, people are going to panic. But if we turn down every light by 25% and apply reflective materials to surrounding surfaces, we’ve created better light with less energy.” Rather than producing more light, refocusing our efforts on exploring reflective materials is a much more holistic approach to lighting, giving our eyes a chance to return to much more natural light. 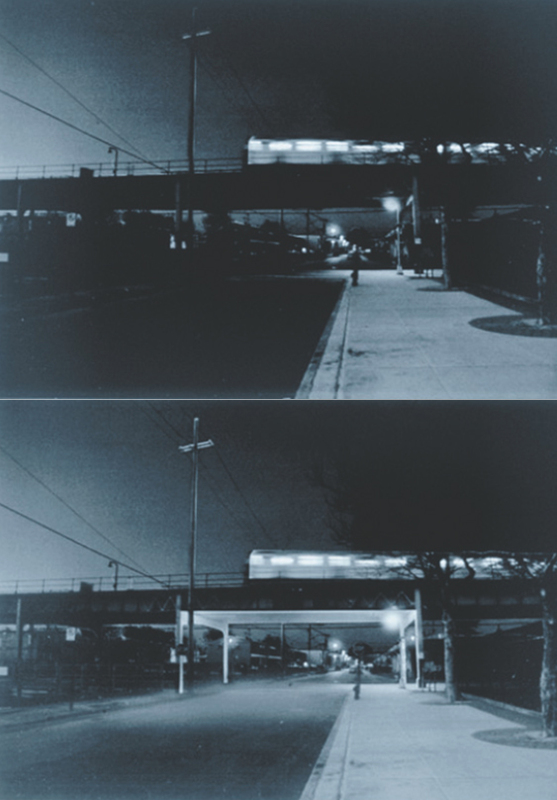 An example of this approach can be seen in the project she cared in between 1995 and 1997 at the intersection of New Lots and Schenk avenues in East New York, in order to assure safety and better quality of light through better lit street in an impoverished, high-crime neighborhood in the outer reaches of New York City. Part of the project, based on social studies and environmental psychology applied to the resident people and the place was based on painting in white the underside of the elevated subway track in order to turning it from urban threat to urban threshold. This example is just one of the several lighting design effort based on a social exploration and approach to the design process in order to generate more human-scale strategies of lighting. In addition to the reflective materials throughout the city, the scenario proposed is also based on the reintroduction of portable lanterns, systems of personal and movable lighting that can serve lighting when and when you need it. Many of us walk around with our portable lanterns, the cell phone that becomes a flashlight when searching for a pair of lost car keys or when signaling to friends in the darkness of a movie theater, as suggested by Tillett. Elsewhere in developing nations, lighting is not using the wide grid of energy: people are using solar powered portable lanterns that provide lighting plus a sense of ownership and safety. These systems are simple, low cost and effective, giving the right amount of light to countries and people that are completely isolated by the grid and experience the real darkness after the sunset. 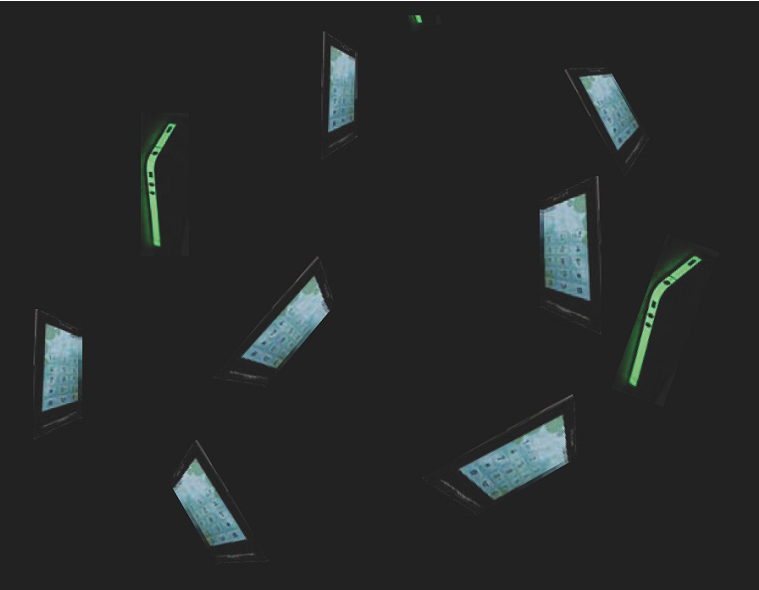 These devices can assure lighting, education, better and longer hours of work, sanitary services and also a new way to think the energy consumption and the use of the resources suggesting a more respectful, responsible and meaningful way of using lighting also in the so called “developed countries”. Maybe we can one day find a better balance, harnessing light in a much more efficient and natural manner. Responsibility and good lighting is suggested also by the recommendation of the CIE in a simple but effective law that is freely downloadable from their website: CIE 180: 2007, ROAD TRANSPORT LIGHTING FOR DEVELOPING COUNTRIES. The report is concerned with ways of improving night-time visibility, and hence night-time road safety value. A recurring theme in the manual is that it is possible to make some improvements even when resources are tightly stretched, and when the ideal from the point of view of international standards seems unattainable. The stance taken is that “something is better than nothing” as long as it is done properly and with understanding of the fundamental principles at work. 1. Self-evidently neither the public authorities nor the vast majority of private citizens in developing countries have the means to spend much on lighting – which is probably seen as something of a luxury – an optional extra in the basic means of transport. This is made worse by the fact that much of the technology, although relatively simple, is imported and uses foreign exchange. 2. Poor maintenance of both urban and rural roads means that bad surfaces and potholes, together with poorly signed roadworks, are a common hazard. 3. Many developing countries lie in the tropics, where all evening social activity takes place during the hours of darkness. The warm temperatures encourage people to “live out-doors”, and the roadways in townships and villages alike become social meeting places. The distinction between shops and business premises and the public highway is frequently blurred. 4. A wide diversity of vehicles uses the roads, many slow-moving compared to the motor car. Animal drawn carts, animals themselves, handcarts, bicycles, motorcycles etc. all compete for roadspace. Large numbers of pedestrians use the roadways – outside the central urban areas there are few sidewalks. 5. In developed countries there is a relatively clear distinction in the road hierarchy between through traffic routes (dominated and designed for vehicle flow) and pedestrian/residential areas. These distinctions are more blurred in developing countries, and there is a greater range of road types. The easiest way to assure more visibility at low cost is increasing the way markings and signs as the basic and essential part of the road safety toolkit to assure more visibility at night (to see more and to be seen more). The cheapest way of marking the roadway and highlighting key features is to use light-coloured paint (simply because most surfaced roads are dark or even black). Solvent paints are known as single component systems, consisting of a solvent and a pigment-carrying resin. Glass beads can be scattered onto the newly applied surface to give a degree of reflectorisation. 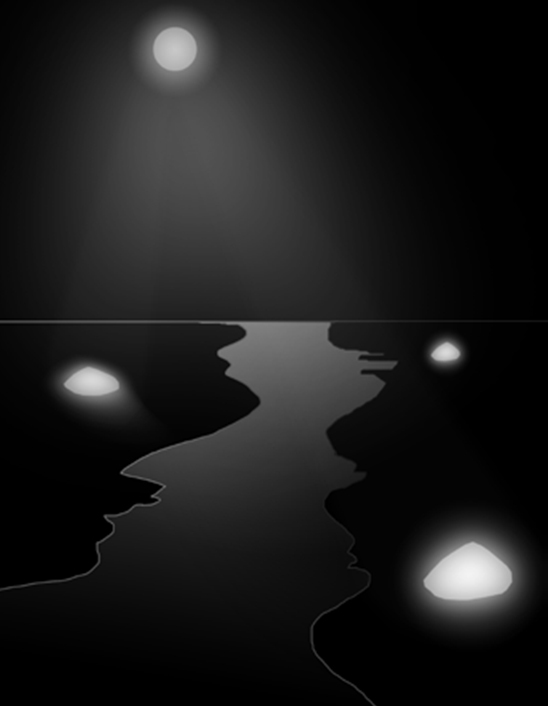 A retroreflecting object returns a significant amount of the light falling on it back in the direction from which it came. Its effectiveness in night-time safety relies on the fact that a driver’s eyes are very close (spatially) to his vehicle’s headlights, particularly when the retroreflecting object is some distance away. Two types of optical elements are used to retroreflect light. 1_ Spherical (or near spherical) glass or plastic elements. These can be large (studs) or small (beads). Between 3 mm and 10 mm in diameter they can be engineered with a larger radius at the rear to coincide with the focal plane; reflectorising this gives a high degree of retroreflection. 2_Corner cube or prismatic structures, in glass or plastic. These rely on an optical phenomenon called “total internal reflection”; light travelling in a material such as plastic or glass which arrives at the surface with the air is completely reflected if it strikes the interface above a certain angle. The corner of a cube provides a succession of such interfaces. Thermoplastic materials give longer life than paint. These are solid materials provided in blocks or granules which are heated to around 180°C to liquefy them. They are applied extruded in thicknesses between 1,5 mm and 3,0 mm or sprayed in a film typically 0,75 mm thick. A degree of reflectorisation is achieved by either mixing beads into the material or scattering on the newly laid surface, as for paint. They typically dry in less than 10 minutes. Thinner, yet durable, markings which do not involve a solvent are available in what are known as two component systems. Epoxies consist of a resin and hardener, which have to be mixed exactly. Their hardening is irreversible. At the same time the road users need additional “marking” at night. Those without permanent lighting, pedestrians, animals, bicycles, agricultural carts, etc. are particularly vulnerable. Even motorized vehicles equipped with lighting need to be made more conspicuous, particularly from the rear, by “passive” markings. Bike/motorbike drivers should carry reflectors and boost their visibility by wearing something reflectorised or, as a minimum, something light-coloured as well as pedestrian that should wear reflective materials (armbands, sashes, waistcoats and jackets with stripes, etc.) in order to be seen by drivers. Finally traditional knowledge and simple materials can be used to have more lighting without adding more energy: it is the case of a project called Trap Light that is the result of the collaboration between Gionata Gatto (Pedalator, Urban Buds) and Mike Thompson (Latro, Blood Lamp), proposing a radical new approach to lighting design. 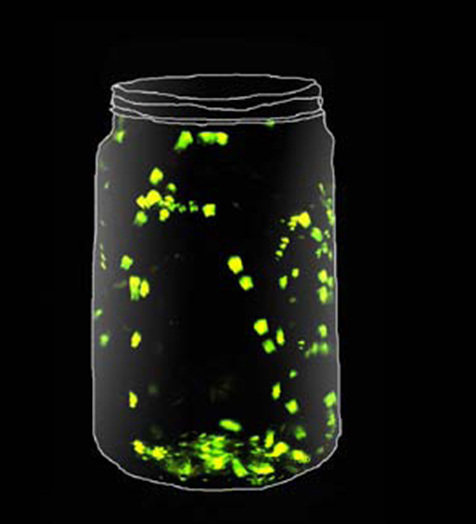 By using photoluminescent pigments to capture escaping light, Trap Light converts waste energy back into visible light. Photoluminesence is a process in which energy absorbed by a substance is gradually released as light. Using the Murano glass blowing technique, the designers were able to embed photoluminescent pigments into the glass body of the lamp. Through this process, Trap Light becomes both shade and light source, emitting, absorbing, and re-emitting light. 30 minutes ‘charge’ of recycled light from a traditional incandescent or LED light bulb provides up to 8 hours of ambient lighting.With Trap Light, the designers illustrate, that by taking a fresh approach to traditional production methods and existing materials, they can create an engaging, new lighting experience whilst making the most of energy.